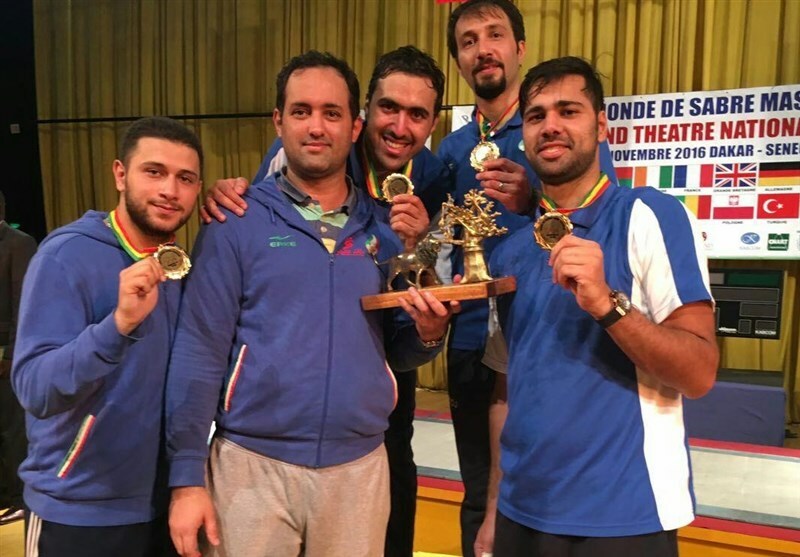 Iran defeated Italy 45-39 to win the FIE Saber World Cup on Sunday. It’s the first time the Persians claimed the title in the competition. South Korea came third after beating Hungary 45-40 in this competition which began on Friday. Iran started the campaign with a 45-22 victory over Japan and edged USA 45-44 in Round of Eight. The Iranian team also defeated South Korea 45-35 in the semi-final. Twenty teams took part in the World Cup saber at the Grand Theater in Dakar, Senegal. After the stage of Dakar, the teams will travel to Budapest (Hungary), Padua (Italy), Warsaw (Poland) and Madrid (Spain). The winning team of the World Cup is named after these five steps, say the organizers.